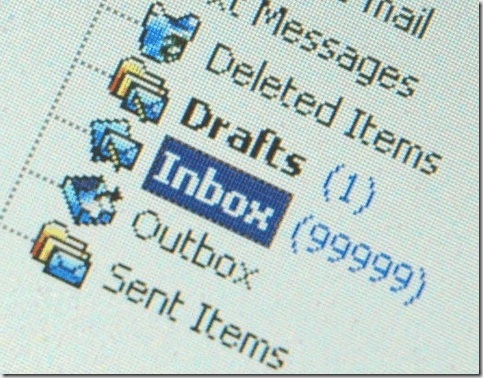 – Email inboxes worldwide receive the largest influx of email marketing material on Tuesdays, according to an October 2013 study by GetResponse. 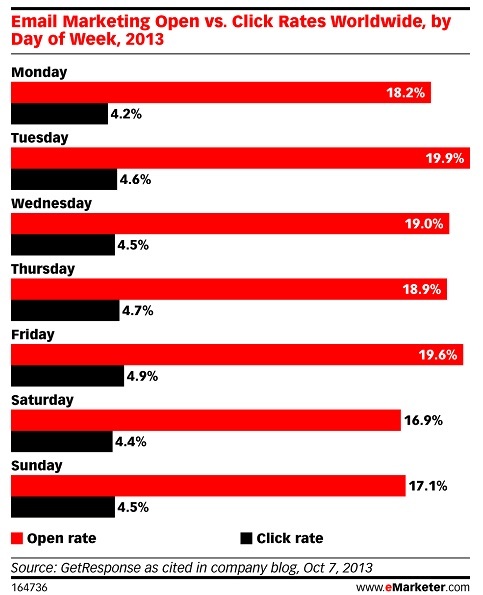 – Out of the five days of the work week, marketers sent the fewest number of emails on Friday— just 14.9%. Consumers, however, were highly responsive on the last day of the work week. They opened a whopping 19.6% of Friday marketing emails.